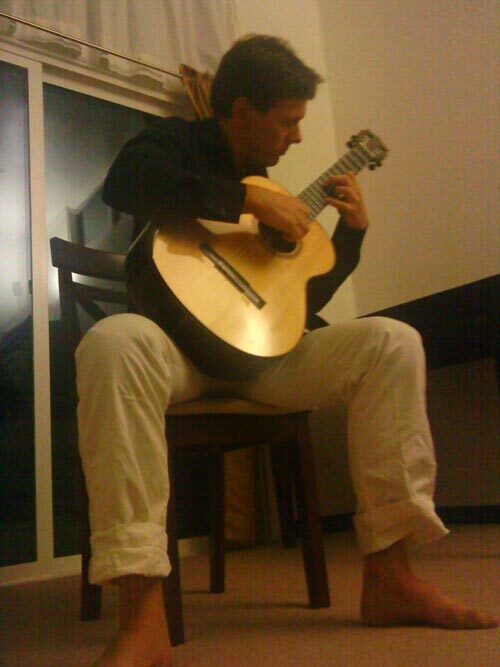 A solo guitar concert before dinner, before a private viewing of a new commission in a one bedroom apartment in Wailuku on the island of Maui. There is a grassroots movement of turning one’s home into an art gallery and concert hall. I sincerely believe it. Live music is not confined to grandiose concert halls for 2,000 people. Similarly art, especially contemporary art, that is works of living artists, is not destined for museums, waiting to be curated and valued. Living composers and artists are creating new works every day. 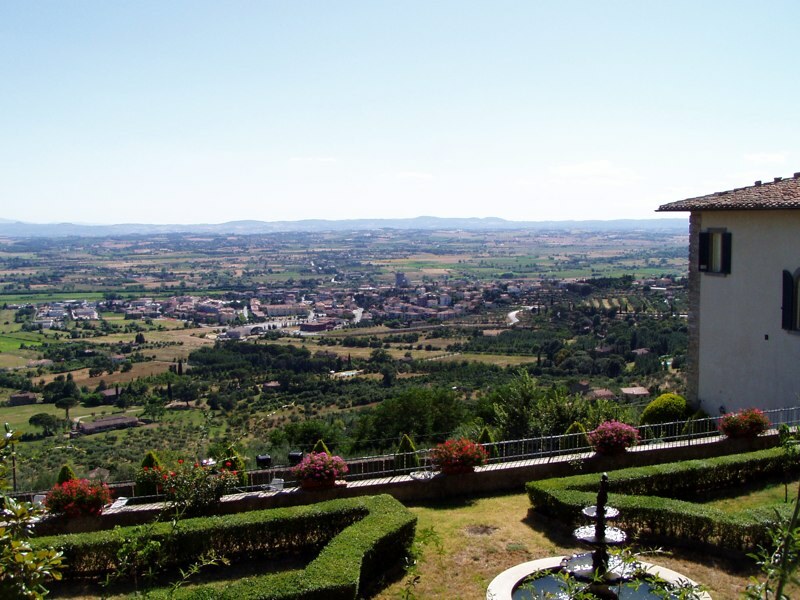 There are not enough concert halls to hear their works or museums to view their works. Hospitals, schools, hotels, and restaurants have unleashed their walls for art exhibitions. Similarly concerts are being staged in alternative locations. Venues can serve more than one purpose. What about one’s home? A home is your castle. Home is where the heart is. It’s the last place of safety and tranquility. Why should you turn it into a concert hall or art gallery? Because you turn a concert and an art exhibition into a very special event —- one with a personal touch that is unique only to you, the host. Last evening, we hosted a small intimate guitar solo concert in our one bedroom apartment in Maui. Dutch guitarist Robert Bekkers gave a half-hour performance of four pieces he will play in Boston next month. We were privileged to sit so close to hear this private performance. After dinner, Maui-based artist Frances Ku revealed her latest work — yet untitled piece in watercolour. I had asked her to paint one for our piano guitar duo for years. We are always looking for new original artwork or photographs for our concert invitations, posters, publicity, and CDs. “Wow!” was the unanimous and simultaneous reaction. She had neither signed or framed it yet — literally hot off the press, still drying. Could we have invited more people to this private event? Yes and No. We wanted to. But we did not have enough chairs, wine glasses, and plates. Next time, we should just ask our guests to bring their own. It goes to show that a concert and/or an art exhibition can take place whenever there is a will to make it happen. 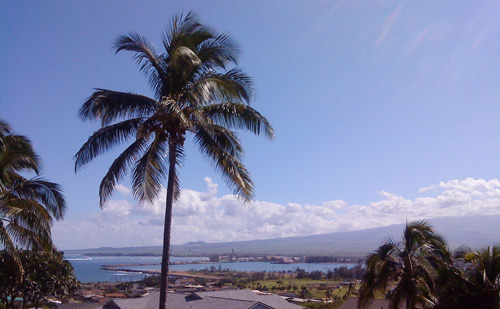 Even in one bedroom apartments — as we have experienced in Amsterdam and now, Maui! Note: Robert took photos of this painting and immediately made a CD cover for the new CD Live at Duke 2010, pictured below. What inspires artists, musicians, and other “creators”? Conversations inspire artists. Works of love and labour do also. 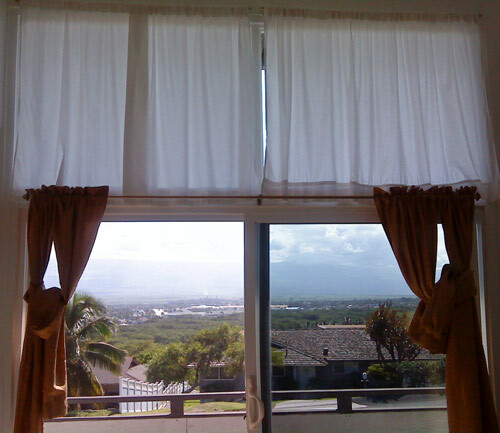 Living in a place with panoramic views in Maui is another. Creativity requires inspiration. It takes a spark to light a fire. Where does that spark come from? Maybe it’s more like 20% inspiration that fuels the 80% perspiration — the 80-20 rule. One idea may start a chain of events, like the idea of getting a guitarist to go on a solo concert tour by himself. Most of his time is spent practising, preparing CDs for sale, getting concert bookings, making travel arrangements, and doing the actual work of performing and traveling. Inspiration comes from conversation with people who stimulate us, like the recent gourmet dinner in the home of a composer and his chef-turned-knitter wife. That evening in Kula led to a private viewing and a house concert the following week. Some people move to environments that are conducive to their creativity. 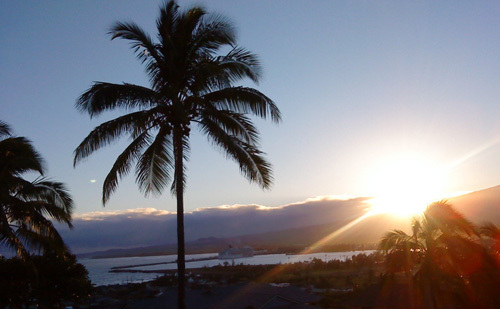 Every morning we wake up to the following scene, when the sun appears above the slope of Haleakala in Maui. Even from inside the apartment, we can look through the floor to ceiling glass and admire the harbour and the volcano. This is what inspires me to write my blogs. This is what inspires Robert to create the CD covers and concert posters. Every visitor that has come to our intimate house concerts in Wailuku has marvelled at the spectacular view from the balcony. From here, we can hear the outdoor concerts at the Maui Arts and Cultural Center. Elton John is visiting on 24th and 25th of February 2011. Perhaps that’s an occasion to discuss what inspires artists, musicians and other creators — on our balcony. Author BLOGmaidenPosted on January 30, 2011 Categories art, composer, concertTags artist, conversation, creativity, creator, Elton John, genius, Haleakala, Hawaii, inspiration, Maui, Maui Arts and Cultural Center, musician, perspiration, Thomas Edison, Wailuku8 Comments on What inspires artists, musicians, and other “creators”? 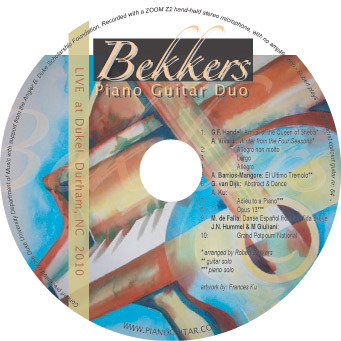 An original artwork such as the acrylic painting of piano and guitar by Georgia-based artist Rob Judkins gets used for CD cover art and concert posters, inspire musicians and music lovers. “Where shall I send your painting?” asked Georgia-based artist Rob Judkins. Before I answer that question, let me share with you what we have done with images of that maginificent acrylic painting of piano and guitar — a painting which we have yet to see and touch in real life. We musicians are in Maui, 5 hour time zones from Georgia and an overnight flight away. I have not seen Rob Judkins since high school. I desperately want to see the painting, but I also want to display it in a location where I can show it to others. In fact, I want to show this 32″x48″ painting wherever I go, not just in Maui, but also San Francisco, London, Amsterdam, and Utrecht. Can I take the painting on the road like the way I can with our music? The stack of 99 CDs sit on the shelf. The first person to buy this CD was the host of a house concert in upper Kula. Who will be the lucky 2nd, 3rd, etc? We will, of course, give copies to the living composers whose works we played in the Makawao Union Church concert in Maui in December 2007: Allan Segall in Amsterdam, Henk Alkema in Utrecht, Erik Otte in Haarlem, and Lan-Chee Lam in Toronto. We will send copies to the artist Rob Judkins in Columbus, Georgia. We will post 5 copies to CDBABY where the physical album will be sold for $39 each — limited edition. We want to encourage people to come to our concerts or, better, organise concerts for us. At these live concerts, we will sell them for $20 to $25 each. Bulk orders get a discount. 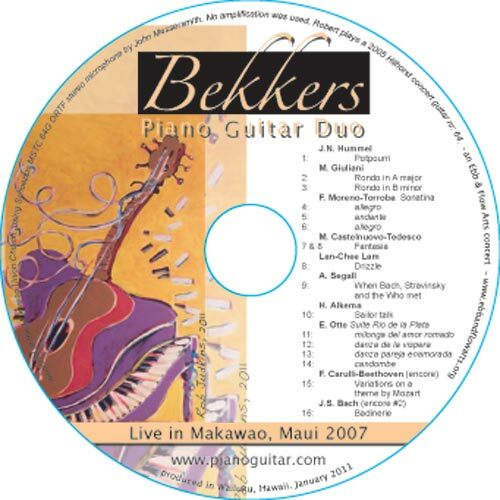 We will bring them to the Maui Rotary Club this coming Thursday 3rd February 2011 when Robert Bekkers gives a solo concert at their weekly luncheon. 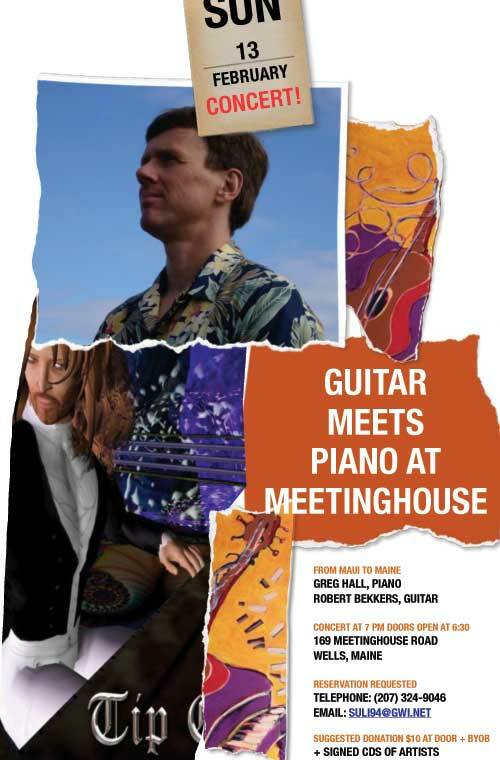 Images of Rob Judkins’ acryllic painting were also used in the publicity for the forthcoming house concert in Wells, Maine. Download the one page colour PDF of the above poster here. How wonderful to have original artwork to promote music both recorded and live!